Amador Vintners will host the 8th Annual Barbera Festival on September 15, 2018 at the historic Terra d’Oro Winery in Amador Wine Country. The outdoor wine and food festival will allow guests to sample Barbera wines from about 70 wineries from across California, enjoy local craft beer, dine on gourmet food from top restaurants and chefs, listen to live music, experience interactive educational programs and peruse offerings from more than 30 artisan vendors all in a beautiful vineyard setting. The Festival brings the popular Italian winegrape varietal, Barbera, to the spotlight to showcase the varietal that is becoming increasingly popular in California. Although many California producers offer a Barbera varietal, the wine still remains obscure to many U.S. wine enthusiasts. “Barbera is a staple on many Italian tables and quickly becoming a favorite of wine drinkers in the U.S. Many producers across California are seeing increased popularity of this incredibly flexible, food-friendly grape varietal with new plantings going in every year. 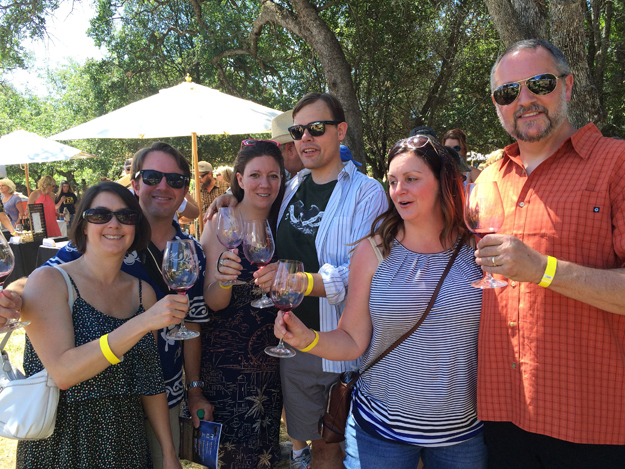 It is certainly a favorite here in Amador County and if you have never tried it, or are a Barbera enthusiast, the Barbera Festival is a great place to be,” said Jack Gorman, Executive Director of the Amador Vintners Association. 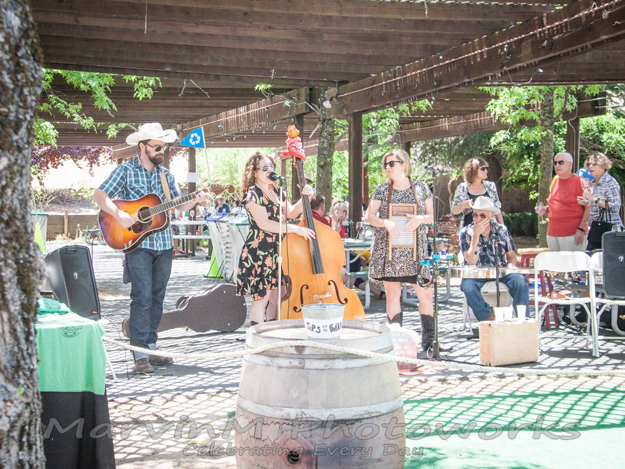 Located in the Sierra Foothills of California, the Festival takes place in over 4,000 square feet of majestic oak trees and sprawling meadows at the historic Terra d’Oro Winery, home of Montevina. Terra d’Oro boasts some of the oldest plantings of Barbera in California, making it the natural home for the festival. From strolling down the tree-lined path to enjoying renowned artists and musicians, guests receive a relaxing experience with high quality food and wine. The festival is set for September 15 from 11am – 4pm. 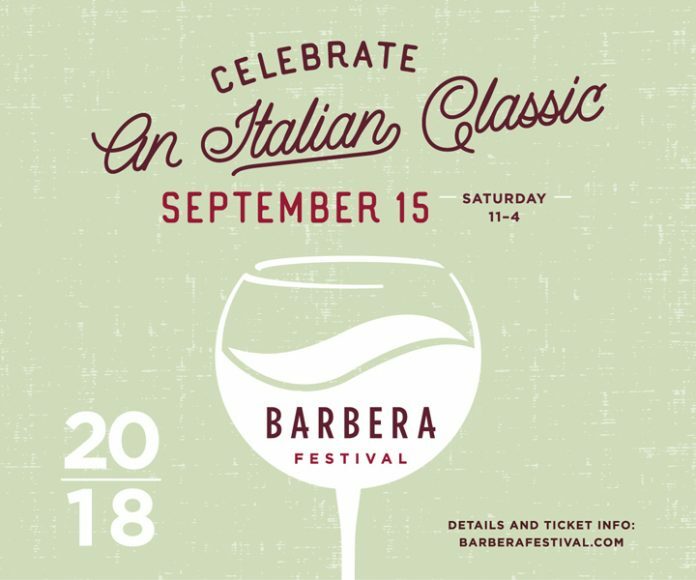 General admission tickets are $50, Wine and Dine packages (includes $16 in Barbera Bucks food/drink script) are $65 and designated driver tickets are $25 (includes $10 in Barbera Bucks food/drink script). Please click HERE for tickets. A portion of the Barbera Festival proceeds will benefit the Amador Community Foundation, a nonprofit whose mission is to enhance the lives and futures of local residents. To date, the Barbera Festival has raised over $85,000 for the work of the Community Foundation. Visit barberafestival.com for details.